Service you deserve & people you trust. 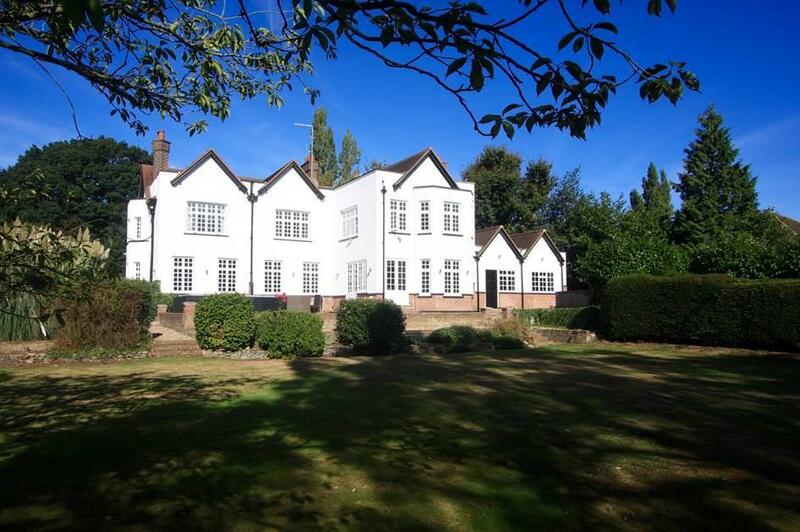 ‘Magdalen’ is an imposing six bedroom detached family home, nestling in grounds of approx. 2.2 acres (stls) close to the centre of desirable Ingatestone Village. 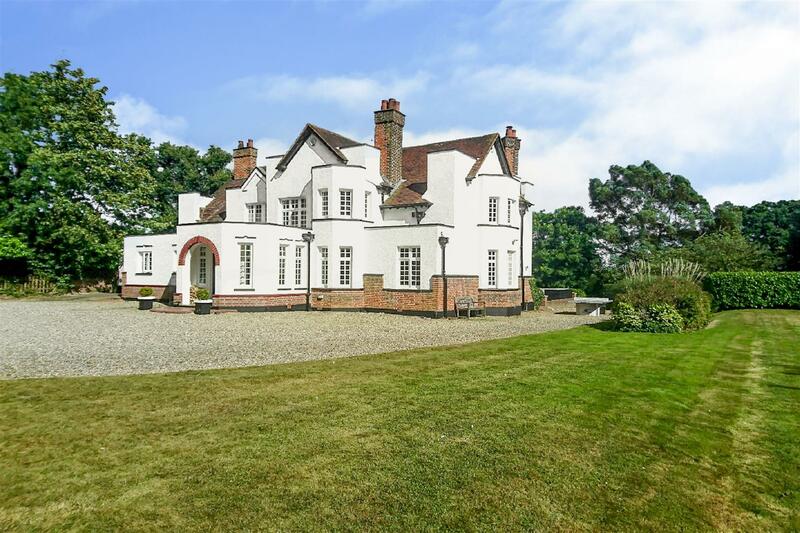 Set back from the road and approached via double gates, this lovely period property boasts some immensely attractive elevations, enjoyed from various view points within the property’s many garden areas. The gardens are further enjoyed by a substantial elevated terrace with adjacent outdoor pool, both offering views over the surrounding countryside. Internally, a grand reception area invites you to explore the remainder of the accommodation, consisting of a newly fitted open plan kitchen/family area, a formal sitting room, study and boot room with adjoining utility. To the first floor you will find a fantastic master suite, further en-suite guest bedroom in addition to four further good sized bedrooms, all complimented by a large principle bathroom. Within moments of Ingatestone High Street and Mainline Station 'Magdalen' is an imposing six bedroom detached family home, set behind wrought iron double gates on a plot measuring approximately 2.2 acres (stls). Surrounded by a number of formal garden areas the house offers a slightly elevated position which allows for some fantastic views over the countryside to the rear, again complimented by a substantial terrace and outside pool complex. 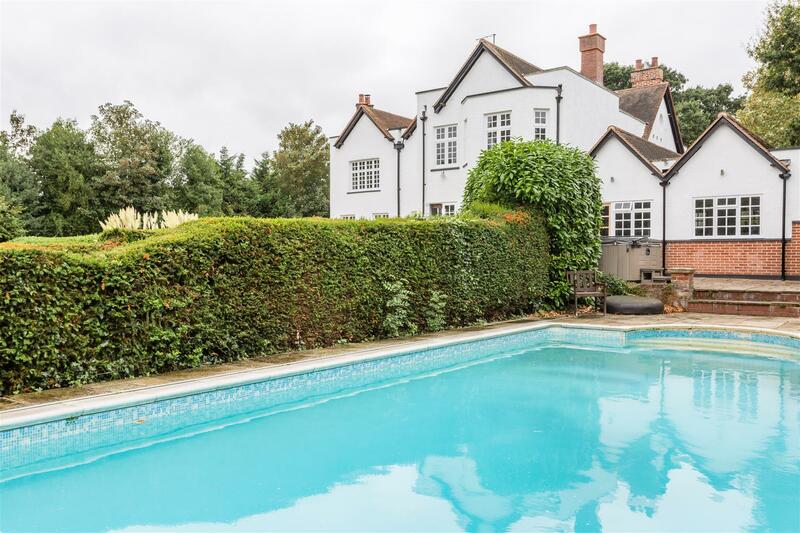 Set amongst the pleasant gardens is a fantastic outbuilding currently enjoyed as a cinema/garden room, whilst the sweeping driveway allows parking for numerous vehicles in addition to double garaging. 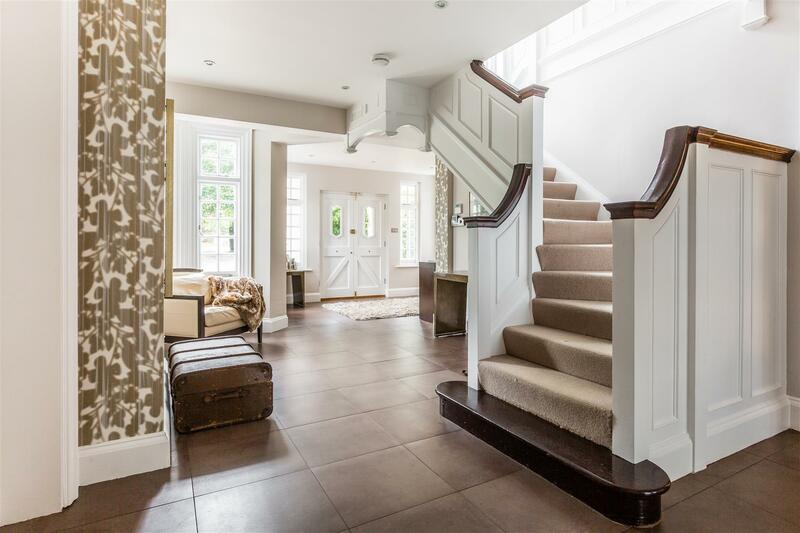 A superb reception area with full height windows and attractive bays is complimented by a stunning turned oak staircase, and flows naturally through the remainder of the ground floor accommodation. 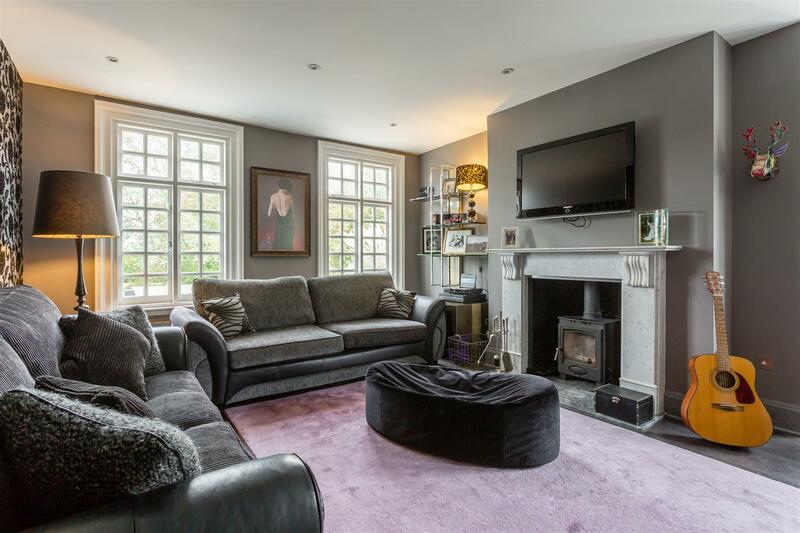 A study provides the perfect place to work from home whilst a formal sitting room with full height windows and bays offer lovely views to the grounds. A distinctive polished iron fireplace with ornate marking and marble surround and hearth, makes this room a perfect place to unwind. 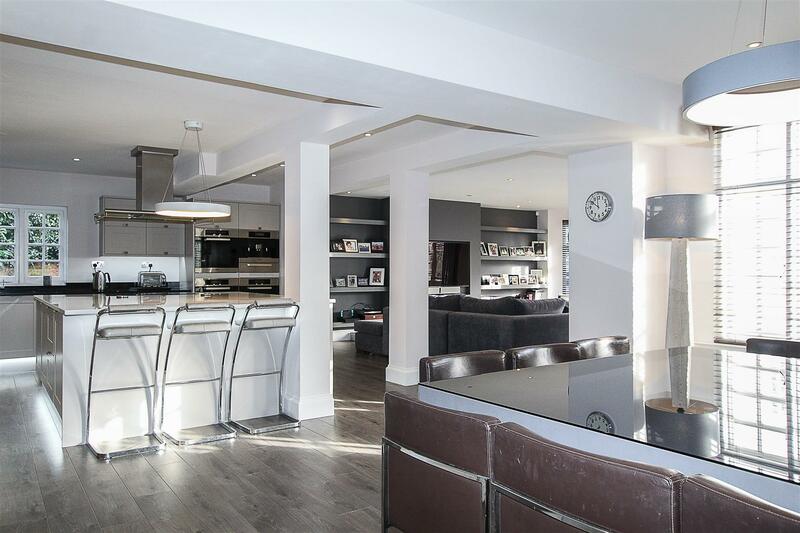 Measuring 38' x 32' a simply stunning kitchen / family area is found to the rear of the house and is bathed in sunlight from it's full height windows overlooking the terrace and gardens. 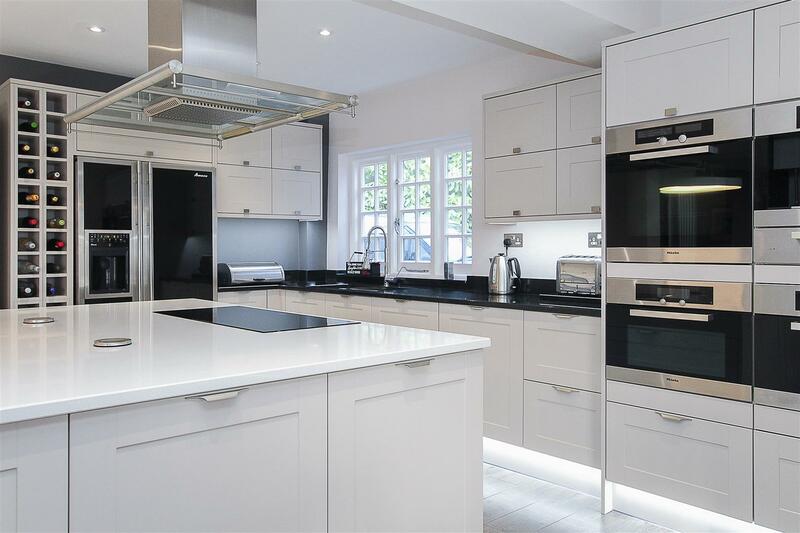 The main kitchen area is comprehensively fitted with a range of 'Miele' appliances and an induction hob set into a superb central island. 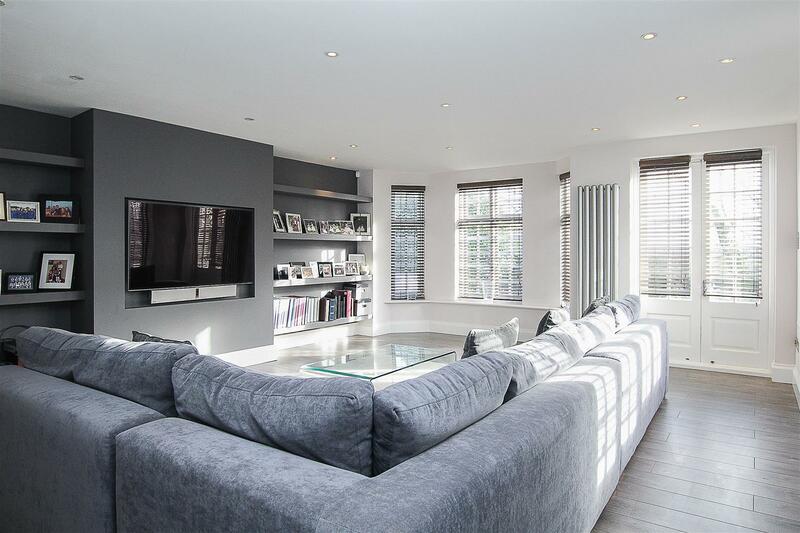 The kitchen lays open plan to a good sized dining area, whilst also flowing neatly into a very comfortable sitting area with French doors opening onto the terrace. Situated just away from the hallway is a utility with attached boot room and arched doorway which leads to the side of the property. In keeping with the ground floor accommodation, the first floor offers a fantastic feeling of space by way of a well proportioned landing and good sized bedrooms. En-suites are adjoined to the guest bedroom and also the fantastic master suite, again with lovely views over countryside to the rear. The remaining bedrooms are all of good size and offer great vantage points over the property's many garden areas, whilst the principle bathroom provides ample space for a four piece suite. In conclusion, 'Magdalen' offers impressive and well appointed accommodation throughout, complimenting by fine period features. Whilst set in lovely grounds of approximately 2.2 acres (stls) you are only a short distance away from Ingatestone's High Street and Mainline Station. A floorplan for this property is currently unavailable.